Band Hatton Button law firm take on the Lake District’s 6 Peaks Challenge for Shine A Light support service. A group of Coventry solicitors are preparing to put their best foot forward on a gruelling trek to raise funds for families affected by childhood cancer. This involves a 14-mile walk starting and finishing in the village of Buttermere, and will see them climbing summits such as Red Pike (2,476 feet), Haystacks (1,958 feet), Dale Head (2,470 feet) and Robinson (2,418 feet). Shine A Light Support Service is based at the Koco Community Centre just off Spon End, and is supporting 35 families a month in Coventry and Warwickshire, ranging from counselling sessions for parents through to putting on activities and trips for children and teenagers. Sam Schoolar, founder of Shine A Light Support Service, said: “We rely solely on donations from the general public to help families that are going through the darkest of times, so we are extremely grateful to Band Hatton Button for their continued support. “They recently donated £10,000 to us from their charity ball and this latest fundraising challenge reflects the strong relationship that we have developed with one of Coventry’s leading businesses. 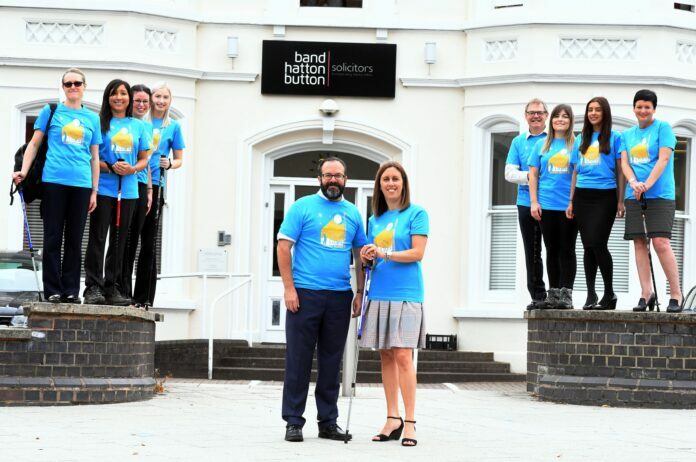 Sarah Avern, Head of Residential Property at Band Hatton Button, will be joined on the charity challenge by her colleagues Jade Dooley, Ruth Whitehouse, Rani Bola, Niki Papworth, Kate McNamara, Daniel Blood, Peter Martin, Sherelyn Ali and Kelly Hennell. The team are a mix of lawyers and support staff. “Shine A Light’s work has resonated with a lot of our work force and we think this is a great opportunity for us to push ourselves and have fun for a great cause. “It is going to literally be an uphill challenge, so the team training is in full flow. Previous articleNet migration to the West Midlands has dropped since Brexit, official figures show. Next articleExciting plans unveiled for Upper Precinct’s tranquil transformation.